It’s illegal to cycle in the UK without a bell on your bike. The reason for this is to warn the ambling pedestrians that you are about to hit. I thought of this when I wasted 47 minutes of my life listening to one of the worst interviews in terms of the responses of the interviewee, I have ever heard – Premiers§ Christianty magazines interview with Rob Bell. I also lost a couple of hours of my life reading Bell’s ‘Love Wins’ – one of the most frustrating, depressing and heretical books I have ever read. So why bother writing about it? Because again Christians in the UK are being fed poison by a false prophet – and far too many of us seem to drink the poison (mainly because we do not recognize it as such). Bell has just been on tour in the UK (in July) brought here by Greenbelt and it has been a sell out, in London, Edinburgh, Glasgow, Belfast and other venues. It’s time for an alarm to be sounded. I wrote this article about the four different evangelical tribes. I think that the political evangelicals, especially on the left generally love Rob Bell whilst the broad evangelicals are reluctant to call him an evangelical but still regard him as a somewhat eccentric errant brother. But if you listen to this interview you will see that Bell is no longer teaching the Gospel – indeed he is teaching against the Gospel and against the Bible. He has become his own one-man cult. When you listen to an interview like this – its not enough to take the good bits (the bits you agree with) and ignore the rest. We need to listen carefully and see why, despite the ‘Jesus’ language, the articulate and humorous presentation, what Bell is teaching is against what Jesus teaches. He is one of the false prophets who profess to come in the name of Jesus, but in reality is a ‘savage wolf who does not spare the flock” (Acts 20:29). I won’t go through the whole interview…. but here are some of the things that show where Bell is now coming from. 1) First of all note that Bell is a performer. He regards preaching as ‘performance art’. He is an entertainer, a preacher without a church and without the Gospel. He is doing a show. 2) Secondly he sets himself up as a spiritual guru. What he says has nothing to do with the Bible. He is selling a product and that product is his teaching. As he goes on it has less and less to do with the teaching of Christ. Bell does not discuss/debate. He pronounces. 3) The language he uses is revealing. For example he does not speak about the Holy Spirit but rather ‘spirit’. He describes preaching as ‘spirit speaking to each person about what they need to hear’. He talks about ‘the Jesus tradition’ – rather than the person and work of Christ as given to us in and through his word. We preach ‘Christ crucified’ (1 Corinthians 1:23). We don’t preach spirit telling each person what they need to hear! We don’t talk about the ‘divine’ (the inner light within or whatever spirituality you espouse)…we talk about God. About the Christ who is the Son of God. We preach him. And we preach him crucified. 4) Bell is right to say that there is plenty room for the message of Jesus in the larger market place of ideas. Paul in Athens (Acts 17) did precisely that. The problem is that Bell does not bring the message of Jesus. For example when talking about what it means to be Christian, he says it means being human. In Bell’s eyes every human being is a Christian and Jesus came just to remind us of our humanity. 5) His misuse of history is atrocious. I’m used to the authoritative psychobabble but I did not expect his confident historical assertions. For example when he says that evangelical was a Roman military term for describing their conquests which the Christians took over and turned into an anti-militaristic term – resisting the corrosive powers of violent empire. I’ve tried to find any evidence for this claim and have asked around, but no one seems to have heard of this. It’s highly unlikely given that evangelion is a Greek word meaning good news. The Romans spoke Latin. Doubtless it was the case that when the Romans won a battle they would announce it as good news…but it is stretching things to suggest that the Christians took over a Roman military term to express opposition to militarism! Basically Bell in classic post-modern fake news style is just making it up. A lie told with humour and sounding profound, is still a lie. 6) He doesn’t get Jesus. Bell’s Jesus is one whom everyone loves. When you talk about the character and personality of Jesus then people love him – (its just Christians they can’t stand). To be fair to Bell this is a fairly common and accepted meme amongst more orthodox evangelicals. But its nonsense. Jesus warned that ‘if the world has hated me, it will hate you also’ (John 15:18). And the world did hate Jesus. The world crucified Jesus. And the world will hate his people, teaching and church. The nice, watered down, Jesus that Bell teaches is one that will of course be loved in our culture – because it is just a reflection of us…not the reflection of the glory of God. “What’s fascinating to me is when the word Christian becomes a whole new way to divide people, here now violating the thing that Jesus came to do, which was to awaken us to our shared humanity….even the apostle Paul said that in Christ there is a new humanity”. But Jesus said that he did not come to bring peace but division (Matthew 10:34-36). It is Jesus who talks about dividing the sheep from the goats on the judgement day. How does that work with the shared humanity?! And the new humanity Paul is speaking about is for those who are in Christ. There is a world of difference between the gospel of Bell (you are all human, be nice to each other and enjoy life cos everythings cool) and the gospel of Jesus (that God so loved the world that he sent his one and only Son, that whoever believes in him shall not perish but have eternal life – but whoever does not believe stands condemned already – John 3:16-18). 8) Bell distorts and mocks the Church. He uses for example a sneering caricature of evangelicals saying to people they are seeking to evangelise – “I’m a Christian and you’re not”. I’ve been involved with the evangelical church for over four decades and I have NEVER heard anyone say that. What Bell is doing is classic misrepresentation. If you accept the biblical teaching about the world being divided into believers and non-believers then you by definition must be one of those nasty, self-righteous, divisive people – unlike Bell who obviously loves everyone and condemns no one (he says this whilst judging and condemning all who don’t buy into his teaching). 9) Bell disses and demonises the Church in order to justify himself and his teaching. “There is a massive world of people who are spiritually hungry but can’t stomach the Christian package they encountered with Jesus”. Of course there is truth in that. Most heresies have truth in them because that way they are far more effective. They distort and pervert the truth, rather than directly oppose it. But what is this Christian package? And what Jesus is he talking about? The Christian package I am thinking of is the Bible, the Holy Spirit, the Church (with all its flaws, given that it is made up of flawed people), praise, prayer, good works, the fruit and gifts of the Spirit. Bell disses it all for the sake of his own personal Jesus. 10) Finally Bell just does not get the Gospel. How else can you describe someone who says this? We can forgive Bell the immature need to show how cool he is by using crass language. We can even forgive him for the gross caricature of biblical Christianity which he describes as a ‘nice dogmatic theological system’ (we don’t we regard Biblical Christianity as being about Christ, as he is given to us in the Bible….and yes we are dogmatic about him!). But what is unforgiveable is when he reduces the message, life and suffering of Jesus to ‘he came to enable you to surf’. It’s Joel Osteen’s ‘Better Life Now’, wrapped up in Californian psychobabble. Of course as Christians we live life to the max (read Chesterton or Calvin to see what that means and yes it can include surfing! ), but to reduce that to Jesus came, lived and died so that you could enjoy what life you have now is a gross trivialization and distortion of the Gospel. God does give us all things richly to enjoy (1 Timothy 6:17) but that same verse tells us we are not to put our trust in the things of this world and then goes on to say that we are to take hold of the life that is truly life –eternal life. What bothers me almost as much as Bells false Gospel is the way that so many Christian organisations, publications and churches give credence to them and promote them. We seem to have forgotten what Paul goes on to tell Timothy – “guard what has been entrusted to your care. Turn away from godless chatter and the opposing ideas of what is falsely called knowledge, which some have professed and in so doing have departed from the faith” (1 Timothy 6:20-21). But instead of guarding, looking after what we have been entrusted with and turning away – it seems that we spending the Lord’s time and money guarding the false teachers as they undermine the Gospel and indulge in godless chatter. Its not just the heretics who need to repent – its those of us who encourage and indulge them. What would Jesus do? I forgot this…..I was asked to write a review of Matt Chandler’s book on courage for Premier magazine. In the same edition I was astonished to find a review of Honest to God by Bishop John Robinson – cited by Rob Bell. Read the review and you will see that he describes it as something that blew his mind and how he recognised a kindred spirit in Robinson. That explains so much – Robinson did not believe in the God of the Bible at all. He was a moral relativist who rejected Christ, his Word and the Trinity as taught to us in the Scriptures. The review does not indicate whether Bell read this book a long time ago or recently. I like Premier and I think that they are doing a good work, but I do question the wisdom of this uncritical acceptance of Bell as a Christian teacher. I accept that the inclusion of this review does not mean endorsement…but it will be taken as such. Robinson’s book was harmful to many people’s Christianity in the 20th Century- Bell’s new age psychobabble is as detrimental in the 21st. Bellophobia – Is disagreeing with Rob Bell’s heresy ‘hate speech’ ? As soon as I hear or read the word ‘spirit’ without Holy in front it, it rings loud alarm bells for me as a warning of New Age or false teaching. Many years back he produced something very helpful and thoughtful on giving from what God has given us. Now he’s simply a heretic. Did he ever actually believe what he was saying, or was he grooming those who listened to pull them away from Christ? Bell was one of those “evangelicals” who rediscovered the theological program of 19th century theological liberalism, and thought that he had discovered something new, as if Schleiermacher, et. al., had never existed. In this, he represents what happens to emotion-directed “evangelicals” who begin already on pretty shaky and shallow theological foundations. Furthermore, now Bell just sounds like yet one more liberal American mainline Protestant. I have just been reading “The Causes of The Lord’s Wrath Against Scotland, Whereunto is added a PAPER, particularly holding forth the Sins of the MINISTERY. Printed in the year 1653. You have my sympathy. I suffer from irregular cycles myself. I’m not a defender of Rob Bell but I need to call things like I see them. There isn’t anything intrinsically wrong with being an entertainer. Likewise, most of Christianity includes “preachers without a church”. I know you well enough to understand that you didn’t mean to imply that ministry is exclusively for professionals. 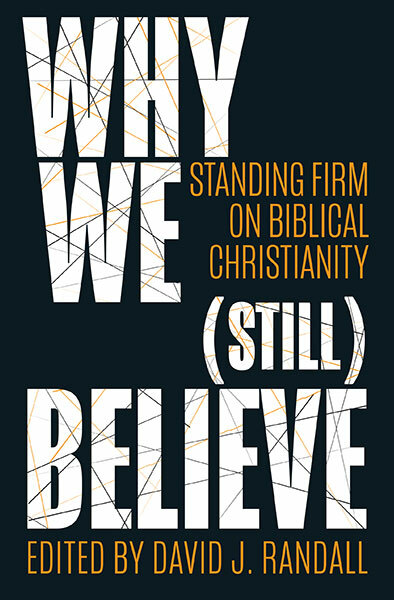 Bell’s false gospel is problematic precisely because there are so few Christians who understand the faith well enough to preach it. Keep up the good work, David. I appreciate your relentless pursuit of the truth. Good grief, David, that sounds dreadful! Never heard of the guy myself, but then I don’t move in evangelical circles, of either the genuine article or this pestilential parody. It is odd, isn’t it, that Christ’s church seems to be coming in for attack and undermining more and more now – almost as if something’s afoot? The deliberate spreading of lies and half-truths seems to me a clear indication of its origin. I have no idea whether it is worth engaging with it in any way – tbh I’d rather have nothing at all to do with such malign stuff masquerading as Christianity. I guess that at times like this you really have to depend on a solid faith in Jesus, and the Holy Spirit (the real one, that is) to give you the courage and clarity to say and do the right things when push comes to shove. Greek euangelion originally would have been used to indicate e.g. peace had been declared, a war had been won. It was good news of that order – Rico Tice makes this point at the beginning of Christianity Explored. But it seems that Rob Bell is rather confused about it! Their destruction has not been sleeping – the judge is already at the door. There would be no market for the Bell’s unless there were itching ears. Just looked at the MSNBC vid you added – slippery character, isn’t he! Thank you David for this. It, to me, is greatly wearing and it troubles me that Premier or anyone gives him a free pass. It troubles me that it seeps into the church, poisoning the life of “ordinary” Christians, who have little knowledge. As you said in your last sermon on Romans, you can be attending Church for years without “getting it” and what Bell and others can do is help them to continue in that place of unblief in the Gospel, or fall away ,especially in this entertainers era. If you don’t mind here is some more grist to the mill. “If the theologian of the 16th century was a lawyer, the theologian of the 21st century is an ad man. We aren’t accustomed to arguing against metaphors, quotations, questions, images, and anecdotes, Bell’s stock-in-trade. We often don’t see them coming, and when we do, we are often uncertain of how to respond to them. Artfully employing such tools, someone like Bell can move you much of the way to his position before you even realize what is happening. Bell’s distinctive rhetorical style is taken straight from advertising (before writing this post, I bet myself that Bell had studied something along the lines of advertising or psychology in the past: a quick Google search revealed that I was correct). His fragmentary and impressionistic statements, single sentence paragraphs, vague, one-size-fits all observations, generous deployment of unspecific adjectives, frequent uses of the second person singular to describe states of feeling, and heavy dependence upon narrative, anecdote, question, quotation, metaphor, and image are all fairly typical of advertising style. Advertisers can be masters of eliciting feelings and states of mind in a manner that makes you think that you are on exactly the same wavelength, without actually telling you anything. They give you the bucket and you fill it, without recognizing what you are doing. Vague and indefinite terms that will be filled with highly emotive states (e.g. ‘spiritual’, ‘transcendent’, ‘wonder’ – words which almost always carry great emotional resonance for any hearer) and prose that seems to be saying something profound without making much of a specific claim is fairly typical here. They hold up a mirror and you see yourself in it. Did Jesus also, then, study modern advertising? Ha! That is just such a good observation. Absolutely true, centrally true, of Jesus’ own teaching practices, and moreover of a good many effective, persuasive deliverers of God’s true word throughout history. So my own repugnance for what Bell is peddling has to be based on what he is saying rather than the way he says it. You can dress it up or strip it down, it’s still just wrong, and goes counter to the real gospel. Let’s stay ad argumentum and leave the ad hom’s to those without valid answers to Bell’s spurious teaching. Which David himself does do, I think, being a true friend to those in error. And a very happy birthday to him too, when it comes. Now have a picture in my head of Calvin surfing. This is a new thing entirely! Singing Bell’s remastered, remixed, reissued, digitally enhanced, “Good Vibrations”. Thank you David for this clear response to heresy. I have grave concerns for those claiming to be Christian but who hear, or read, words such as he, and many others, preach without discerning the baited hook. Bashir knows his craft and has also done his research . His questions were more informing than Rob Bell’s answers , and yes , Bell is squirming on almost every question. I would also add Richard Rohr to your list. His use of straw men arguments would support a PhD Thesis…..
How right you were to suggest that “Christian Media” might be a Trojan horse. It might not be going too far to borrow and adapt one of Marshall McLuhan’s memorable dicta: “DAR’s articles in Premier and Christian Today are like the juicy piece of meat carried by the burglar to distract the watchdog of the mind.” I, for one am glad that you are no longer writing for Christian Today especially after reading its editor’s slimy manipulation of the news of Rico Tice’s resignation to support his homophilic agenda. In popularising Neo-liberalism Robinson did immense harm but later came to argue for remarkably early dates for the gospels in defiance of the critical consensus. Somehow I can’t imagine Bell doing likewise. It’s not illegal to cycle in the UK without a bell on your bike. (apparently only Northern Ireland & Isle of Man require this by law). And I pretty much disagree with the rest of the article too; even the motivation to write it. I understand you feel you’re defending truth, warning people away from a ‘heretic’. You say “Bell doesn’t get..” a few times; however I suggest you “don’t get Bell”. I went along to an evening of his recent UK tour- and loved every minute. Admittedly he’s not going to engage everyone & will irritate some for sure! But he is no heretic. At least we don’t physically burn them at the stake any more. But you seem keen to do it with words instead. I’d appeal to you to spend your writing energies on other more constructive things- which you seem well able to do. Oh I get Bell…I have been reading and listening to him for years. Many years ago I warned about the direction he would head and was accused by liberal Christians of exaggerating. I don’t think Bell helps people at all – at least not by leading them to Christ – and I have received several testimonies who have given up on the Christian faith because of following Bell’s teaching. And I am not Gamaliel…do you think Paul was wrong and not being constructive warning the Ephesian elders in tears about the false teaching that would come in? Or that Jesus was not being constructive in his letters to the seven churches? So sorry – despite your word games I will not keep quiet about false teaching. Do you think I should keep quiet about racism in the church and do something more constructive? Call out racism and other clear evils in the church (and anywhere else) by all means! Amen. I’ll just repeat, in my opinion that Bell is no heretic & we should be very careful in judging anyone. It is by definition a matter of opinion though. Although I suspect you’d say I’m using opinion and your views are based entirely in fact. He does lead people to Christ. Christ is bigger and more wonderful that we can fully know given many lifetimes. We will go on knowing Christ better forever! (and by inference ‘unknowing’ where we got it wrong previously) How could it be otherwise when talking of God? If you’ve arrived in full knowledge of everything that Christ is and can make perfect judgement on the position of others then so be it. I prefer to remain open to the possibility that people like Bell have something to say too, instead of simply labeling it ‘false’. That was partly the warning of Gamaliel. If it’s false it will ultimately come to nothing. If God is involved, even slightly, then we’d better be careful who we make judgments about. The Lord is my shepherd after all! I can trust my shepherd and listen to Bell or whoever. How else do we learn anything? That’s a position of faith not fear. If people have been negatively affected by the teaching of Bell (or anyone, even Paul!) then by all means help them in whatever way they need help. We should be a pastor to them. But don’t make the leap that everyone is affected negatively & it’s somehow our job to indiscriminately warn the whole world away from ‘false teachers’ using our own judgement. Paul in his warnings was in specific circumstances which we can never fully know. No – determining whether someone is a heretic is NOT a matter of opinion. Christ is bigger and more wonderful than we can imagine. But that is a truism which should not be used as an excuse to justify false teaching about Christ or to teach false Christs. I of course have not arrived at a full knowledge of Christ…I am like Paul who towards the end of his life spoke about wanting to know Christ! But Paul did not tolerate for one iota false teaching which takes us away from that knowledge. In fact he was far more harsh than I am. You will note that Bell has moved away from speaking about Jesus to speaking about ‘the Jesus tradition’! And of course Bell will say things that are correct. Even the devils say there is a God! Not everything he says is poison. But poison laced with honey is still poison. I don’t simply label what Bell says ‘as false’. I have listened to and studied him for a long time – like Chalke. I contrast what he says with what Christ says. It sounds nice to say ‘don’t make a judgement….let it be….let God deal with it’. Would you say the same about racism? Or the Moonies? Or Islam? The Lord is your shepherd then you listen to him – not Bell who is a false shepherd. And yes it is precisely my job, as it is the job of all Christs undershepherds, to seek to protect the flock from the wolves. Its funny how when you want to avoid a bible teaching you play the humility card (we can never knows Paul specific circumstances so we can just ignore his Spirit inspired teaching!) and yet you are very sure of your own views. It seems to me that you are being very binary…you have journeyed on…others havn’t. You are in a better place….the rest of us are backward. And the arrogance is breathtaking! You want them to move to a better place without arguing. IN other words you want them to be where you are – and no argument about it. If they dare question you will accuse them of being binary and black and white. The irony is that you don’t seem to see that you are black and white and binary about your views on binary! TDR, Are you for real, with your nomencalture. More than a little self regardingly prideful, methinks. Perhaps Dr Paul is too simplistic for your taste. The problem for you is that he DOES get a handle on Rohr and deconstructs Rohr in an entirely non-binary/black and white way(whatever you may mean by that throw away line that may be far too rigorous for your thinking. Bell and Rohr and McLaren have such a high regard for their own teaching. much higher than any dumbo’s that have gone before them down the Centuries and higher than scripture itself, despite the that fact that it is not new, but dressed as the emperor’s new suit of clothes and verges on Marcionism and gnosticism, in part’s. Now you can, also answer Dr Paul ‘s critique. Can you do so without following your own simplistic binary so called put-down. Let’s have some detailed response. It would be good if you’d start with the non-binary Holy Trinity. Do you really know what has been taught down the Centuries, without relying on any or all of Bell, Rohr, or McClaren, telling you what they say has been taught? Don’t sound the alarm – ring the bells of celebration!!! Dear David – Once again where is the love? Where is the grace? Where is the Christlike acceptance towards another beautiful brother in Christ? We had a brief exchange a few months back when I was upset by your comments about Steve Chalke and his affirming of gay marriage. I was also deeply saddened recently by the way you chose to critique the beautiful and extremely brave Vicky Beeching. Today I was listening to a wonderfully encouraging podcast by Rob Bell on Premier Radio prior to his UK tour and was once again saddened to see the way you critiqued him afterwards. I really find it distressing that you do what you do. I know that you will call me a ‘wishy washy liberal Christian’ or something similar but you must understand my dear brother, that I came from your world or at least something very similar. I never lost my faith in Jesus but through no fault of my own, I lost almost everything else including my ‘ministry’, my marriage, my career and sadly even a young child as well. I was broken and very confused for many years and could not relate to anyone from my former ‘tribe’ who seemed unable to understand what I was going through because it didnt seem to fit there sense of what a ‘good Christian life’ should look like – there had to be a reason for my disaster. I call it my ‘mini-Job’ experience. I didn’t do anything wrong as such but for what ever reason life just took a turn for the worst for a few years and I was left shattered and clinging by my finger nails to my belief in a loving, caring heavenly father. This went on for some ten years. I tried to pray but I couldn’t. I tried to find a church but nothing felt right so I just let go of it all. One day for no logical reason I decided to just start getting up early each morning, light a candle in the darkness and wait silently for God. I never prayed a word other than ending each ‘quiet time’ with the Lord’s Prayer. That’s all I could manage. I then stumbled upon a book called ‘Soulfulness’ by a lovely Christian man called Brian Draper and my life changed. that book open my eyes to a whole new and expansive world of Christianity that I never knew existed outside of my blinkered evangelical world view. I discovered John O’Donohue, Brian Mclaren, Richard Rohr and of course Rob Bell. At first I was nervous and skeptical but as I trusted the Holy Spirit alone to ‘lead me into all truth’ my confidence grew and to cut a long story a little shorter, I fell in love with Jesus all over again! I am now on the road to an exciting new passion for Christ. It’s bigger and better and more loving than ever before and I know just as when I met Jesus the very first time and got ‘born again’ that I have encoutered the one true God who is love, and I will never be the same again – again! Rob Bell more than any other spiritual teacher has helped me get back on the path and I find it bewildering that you are so anti his message of love, acceptance and compassion. In my humble opinion he represents a far more authentic model of what the young, radical, fun-loving and controversial Jesus would have been like when he was on earth. I say this respectfully David, but to me you sound more like the voice that drove me a way from church when I was down and out. Cold, hard, critical and judgemental. You remind me more of the religious establishment that Jesus preached against rather than the accepting, loving – have dinner with anyone even the outcasts of society – type person who stands at the heart of our faith? Rob Bell is not perfect and sometimes he can be a tad too ‘Hollywood’ for me, but no one can deny that he is totally ans utterley fascinated by and committed to our beautiful and wonderful Lord Jesus – who never hurt anyone or pushed anyone away that was open to his message. Without the enthusiasm, joy and deep knowledge of the word of God that Rob brings to so many people and his brilliant communication skills – I really doubt I would be on the road to recovery. When I listen to or read what you say on the other hand my heart breaks and I certainly struggle to see Jesus. I’m sorry but that’s just how it is and it’s very sad. By pulling down Rob Bell you are essentially questioning my being guided by the Holy Spirit who I abandoned mysefl to and trusted fully to bring me out of a dark dark place and lead me onto the path of truth again. I used to constantly thank God that he would not give me a stone if I asked him for bread – and he didn’t. He gave me Rob Bell. Please, please, please think again my brother. Jesus said ‘if they are not against me they are for me’. You can dislike Rob Bell but you can’t acuse him of being against Jesus who he is clearly fascinated by just because you don’t like him or his style.. Why are Christ’s words not enough for you to change your conduct? Next Next post: Jesus or Religion? What’s your Magnificent Obsession?